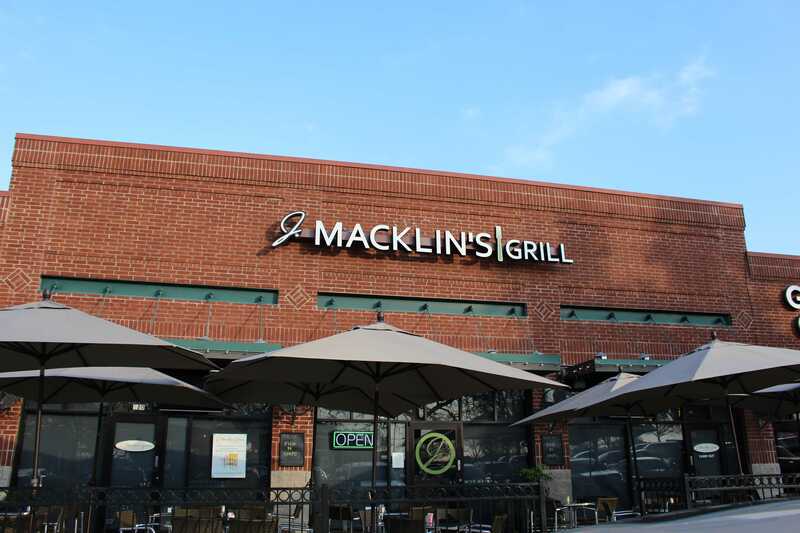 At the heart of Coppell, J Macklin’s grill has been offering American style food since 2009. Their motto “Eat. Talk. Drink.” though vague, could not have better summed up my experience at the popular brunch spot. I was craving something warm on the chilly December Sunday, and the brunch menu did not disappoint. The options (served only from 9 a.m. to 2 p.m. on Sat. and Sun.) included everything from beignets to pigs in a blanket. With all the unique options, it was hard to narrow my order down to just one thing, but I finally decided on the Fried Chicken and Waffles. This was one of the more pricey options on the menu, and I would soon find out why. After a short wait, the waitress brought out a syrup-drizzled belgian waffle with a huge piece of fried chicken on the side. I ate until I could not anymore (turns out there is a such thing as too much maple syrup) and brought the rest home for my family to enjoy. The booth I sat in was right smack in the middle of the restaurant, so initially I feared that when the non-morning people showed up, it would get pretty loud. But even as more seats were filled, I had no trouble hearing my brother across from me or even the music playing. The way the tables were placed around the restaurant and the overall comfort provided by the booth along with the dimmed light fixtures, sure made talking easy, and on top of that, the multiple TVs gave us something to talk about. I ordered a water, which the waitress came by to refill multiple times. I would take a sip, look away for a second, and my glass would be full again. With a cool style, delicious food, and yes, complimentary Wi-Fi, J Mackin’s will definitely be my go-to brunch restaurant from now on. Congrats to J Macklin’s on being the Sidekick’s best brunch restaurant in Coppell.